The NZ government should impose greater climate change disclosure standards on financial market participants, a new report argues. According to the Investor Group on Climate Change (IGCC) report published in December, the government needs to “consider the role of financial market regulation and regulators in driving climate-compatible investment”. Among a raft of recommendations, the IGCC report calls for “clarifying or amending legal duties and disclosure requirements for directors, investors, trustees, financial product providers and financial advisers, in relation to climate change”. Government could also provide investment incentives “to accelerate alignment with New Zealand’s climate goals and commitments”, the IGCC report says. The IGCC study condenses the views of a NZ institutional investor symposium convened last October. The IGCC boasts over 65, mostly Australian-based, institutional investors as members who collectively manage over $2 trillion. While the IGCC includes a number of trans-Tasman firms – such as AMP Capital, Mercer and Russell Investments – the NZ Superannuation Fund (NZS) and Pathfinder are the only NZ-headquartered members. As well as imposing stronger climate change-related regulatory duties on financial market players, the IGCC report urges NZ government to develop an overarching ‘sustainable finance strategy’ while also supporting innovation. The IGCC also recommends investors take a three-pronged approach to climate change covering ‘integration, collaboration and engagement’. Furthermore, the report says NZ financial firms need to build more “low carbon, climate-resilient investment related products and tools” to meet growing market demand. 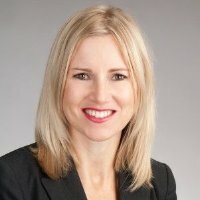 Despite the burgeoning demand for climate change investment options the NZ IGCC symposium identified a number of hurdles to overcome including: organisational reluctance; doubts about commercial viability and access to relevant solutions; and, “lack of industry experience, skills and resources”. Climate change should be embedded into financial industry “professional training and education”, the report says, via entities such as the Institute of Directors and the CFA Society. NZ financial markets lagged the world in tackling climate change issues in spite of a number of government and industry initiatives currently in train such as the recently-launched Green Investment Finance, the Zero-Carbon Bill and an impending upgrade to the country’s emissions trading scheme. “While there are some market leaders (see case studies for examples), overall, the New Zealand financial market is still at relatively early stages of responding to climate change risk and opportunity,” the report says. The IGCC report was authored by Justine Sefton, a climate change specialist who previously helped the NZS develop its approach to the issue.